On this month’s episode of The Sailing Show, Abby Ehler chats to offshore sailor Hannah Diamond, as well as catching up with recently crowned World Sailor of the Year, Carolijn Brouwer about the latest news in in the world of Olympic sailing. Hannah Diamond was part of the British Olympic Squad leading up to the British Olympic trials for Beijing 2008 in the laser Radial class, moving into the Nacra catamaran class for the lead up to the 2016 Olympic trials, which included winning Silver at the World Championships. 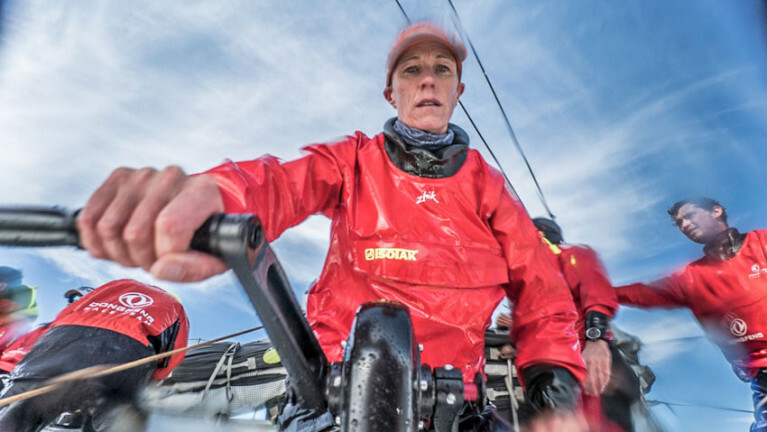 Hannah has expanded her sailing skills racing keelboats, and offshore, most recently as part of Vestas 11th Hour Racing competing in the Volvo Ocean Race. Recently there have been some quite dramatic changes to the landscape of the sailing classes elected for the 2024 Olympic Games, which has ruffled feathers in the sailing world. We discuss these changes and the pro’s and con’s of both sides of the equation.